Because, you know, it’s not really a vacation til you actually get there. All the business of getting to the airport and flying and settling into the hotel is not fun (at least for me). I like the planning, the anticipation, and finally the doing. The logistics of it do not thrill me. But we were here, 8 ladies in a warm-weather paradise that feels like a foreign country but with all the ease of travel of just another US state. It would have been a good vacation just to lay out on the beach or by the pool, alternately soaking up rays and soothing the heat with cool water. 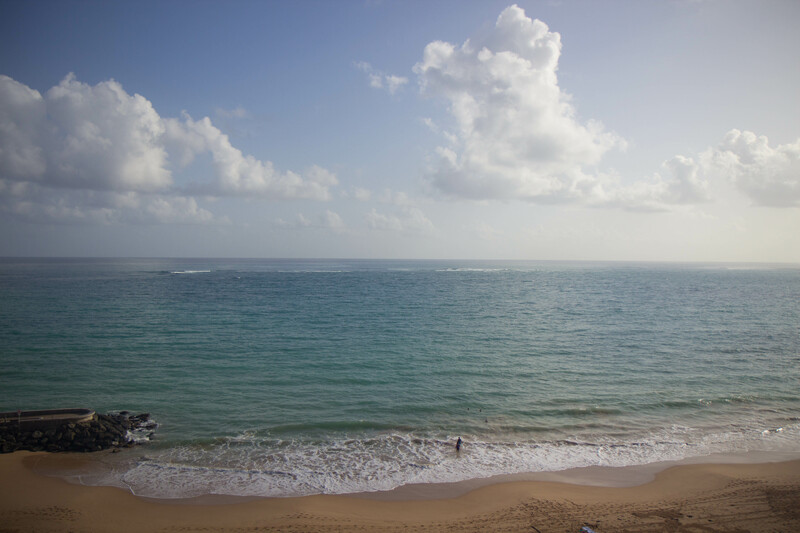 But dammit, we didn’t come to Puerto Rico just to get sun! Although we did have that in our itinerary. 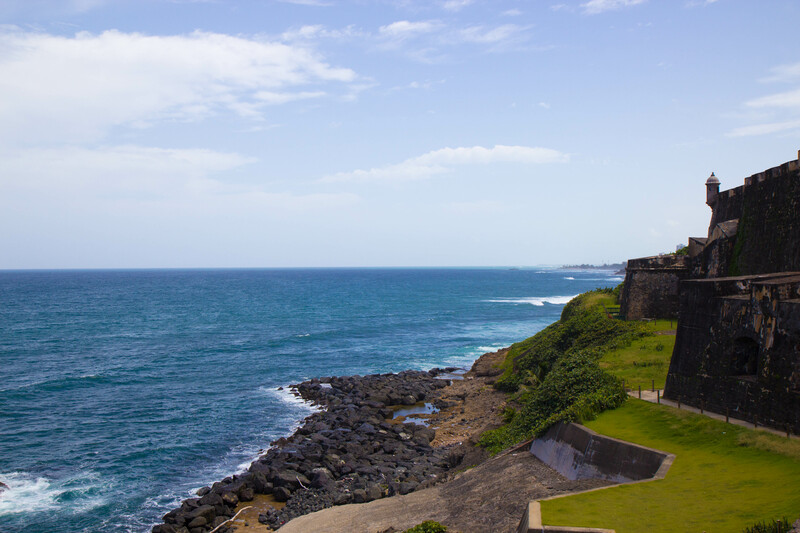 Our first stop was Viejo (Old) San Juan, where our main destination was El Morro, a huge fort at the edge of the water with huge walls flanking parts of the city. 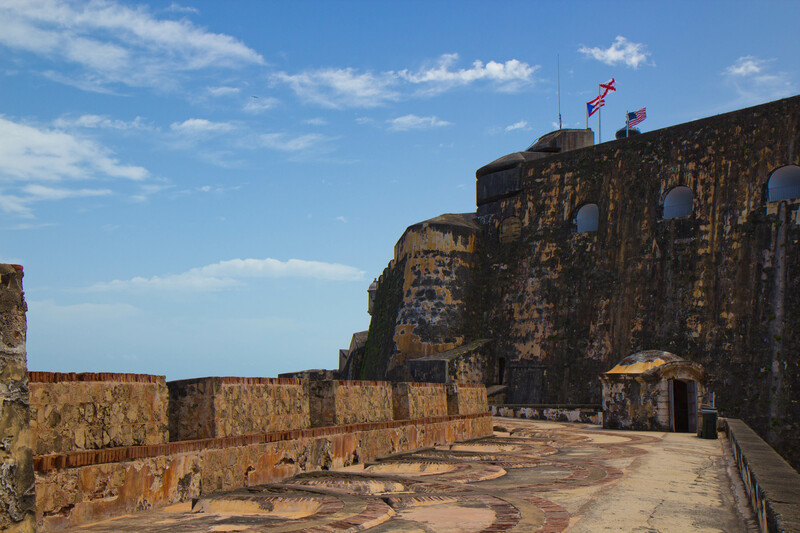 It’s a total understatement, but the whole structure just seems so solid – obviously since it was built for defense and fortification. It looks like it could stand for centuries more – which is a great thing. 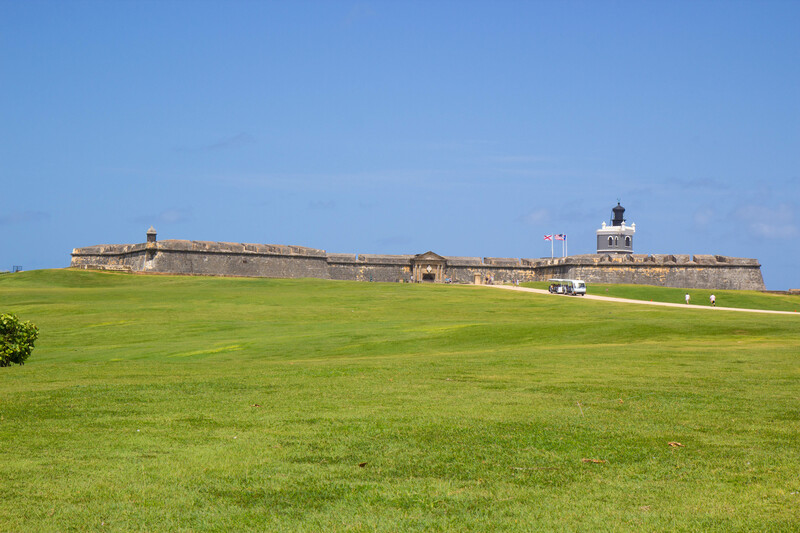 Also I was reading that on weekends people enjoy flying kites on the grounds outside the fort – which I found a really cute contrast and kinda whimsical. Lots of colorful houses! Graffiti adds a little character. 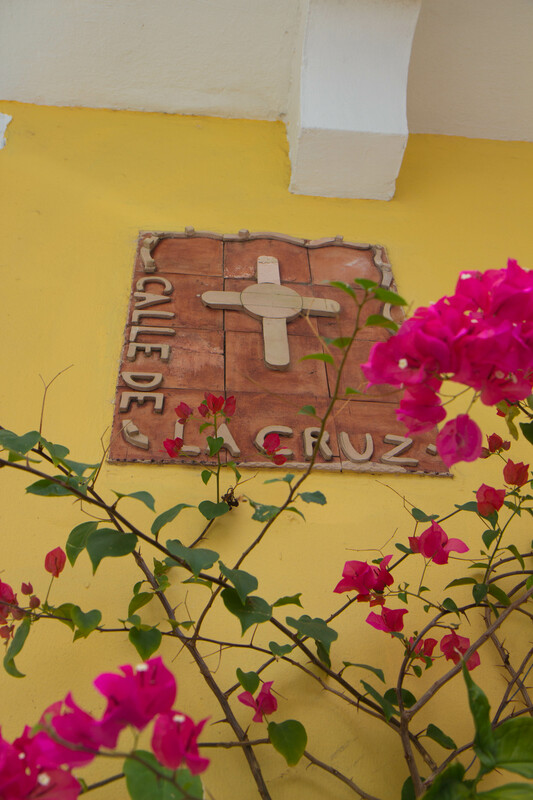 Colorful flowers at the street sign. 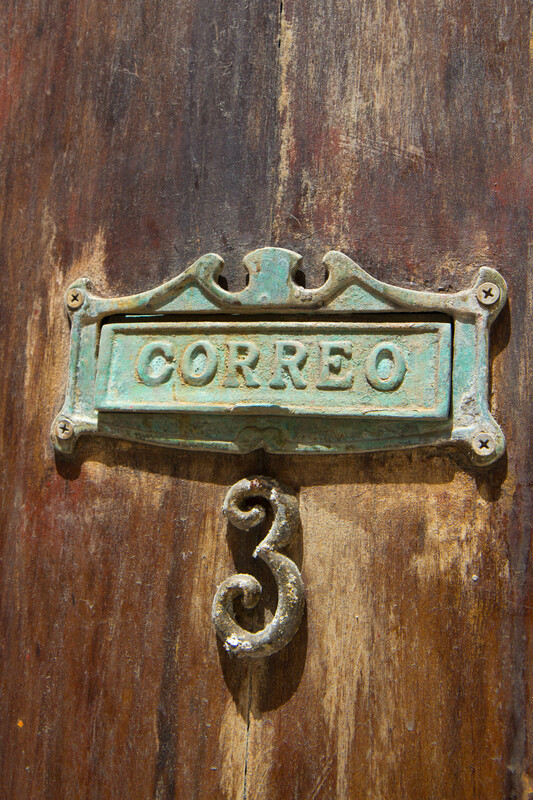 A nicely aged mail slot. After a filling lunch at Raìces with mofongo with steak (fried plantains that are mashed and ceviche and an icy cup of passionfruit punch we were ready for our next stop… the tourist trap that one cannot resist, Casa Bacardì (Susie told us quite correctly that since the accent is on the last i… it should be BacarDI! not BaCARdi as us silly Americans say it.) 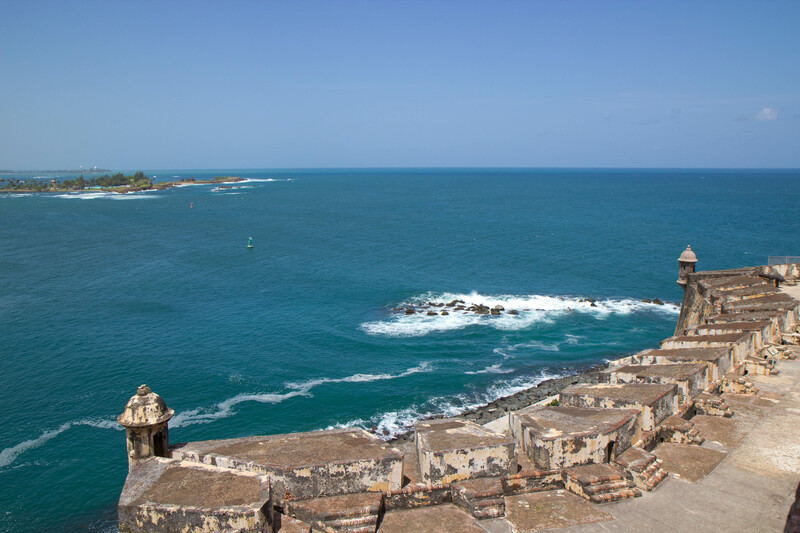 You board a ferry to get to Cataño (50 cents each way) and then taxi vans will take you there for $3/pp. The first that you see when you roll up is the bar – underneath a white batwinged tent, milling with tipsy tourists with their 2 free drink coupons. And soon we would join them! 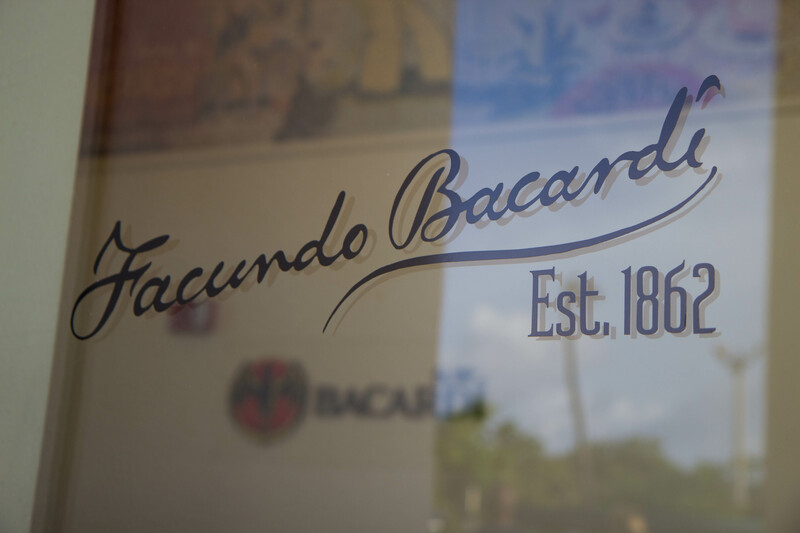 First you get a brief tour, which consists of a semi-promotional video about Bacardìand a recreation of the distilling process at the plant in Cuba – no secrets of course! It was interesting to learn about the history and how they distilled the rum… unfortunately you don’t really get to see anything being done, which would have been cool. You do get to smell different types of rums, and phew I could get tipsy just off of some of the more aged ones. The flavored ones definitely tempted me to try them later on though. Good job, Facundo! This bartender had serious golden radio voice. 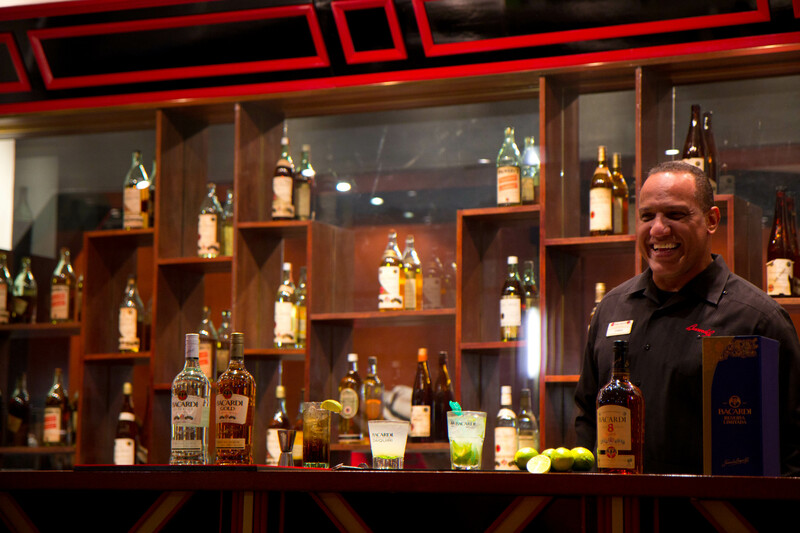 The third part of the tour consisted of a smooth-talking bartender explaining three signature drinks with Bacardì rum – Cuba Libre (rum and coke), Daiquiri, and Mojito. You really wanted to try making these drinks at home after this guy was done… that’s how charismatic he was! And of course it wouldn’t be the end of a tour without passing through the gift shop. Like sheep we are, like sheep. But all’s well that ends with free drinks! And each person gets 2 free drink tickets (or if the bartender spills yours like he did mine… three!). With 7 people we got to try a variety of different drinks. 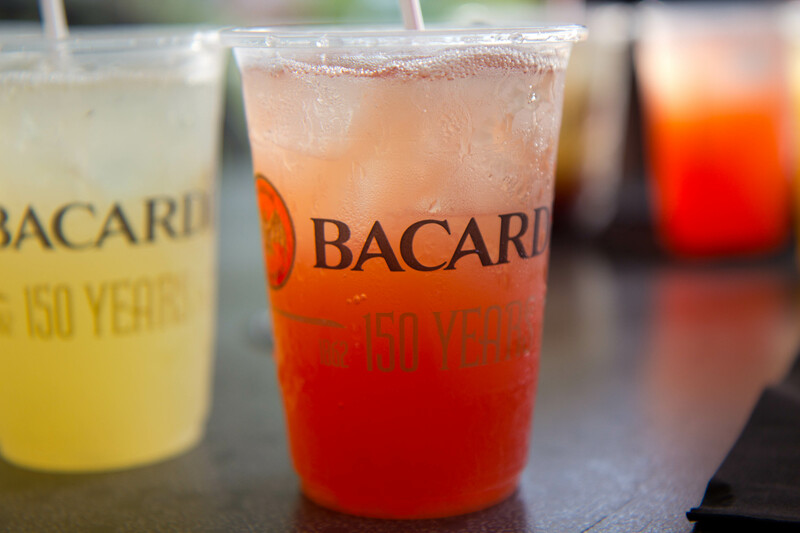 Fruity drinks were big – the dragonberry rum, black cherry and rum punch type drinks were a hit. Needless to say by the end of it I was pretty red-faced – not tipsy, just red. The curse of Asians everywhere. Also by the end of it, the bartender had fallen in love with Susie. But you know how those Spanish-speaking Asian girls are… irresistible! Later we would hear that although Bacardì is the best-selling rum in the world, it’s not the best-selling in PR – they prefer Don Q! But more on that later. 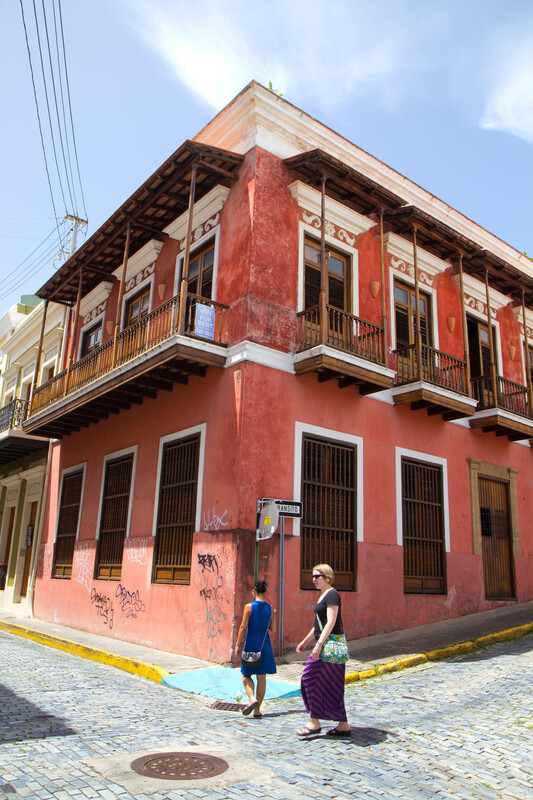 Normally you would then take a taxi back to the ferry station and then ferry back to Old San Juan, but we decided to just cab it straight to Condado for our hotel – this would be cheaper than the normal “cab to ferry, ferry to OSJ, cab to Condado”. 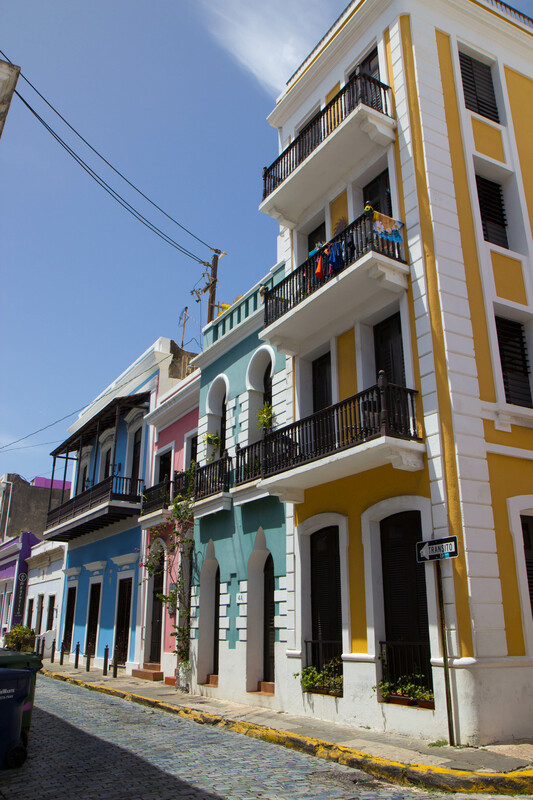 Originally we were planning to eat in Old San Juan for dinner but the heat and weariness combined to make us want showers… now. However that became an issue when we got back to the hotel because they had no power/hot water in guestrooms (which was supposed to be resolved by 5 pm and it was then 7 pm… ahem). So in lieu of showers we hit the pools, and then dressed by the light of our phones. It was interesting for sure. Dinner consisted of ropa vieja – literally “old clothes” because the shredded beef resembles old and torn rags or clothes. It was tender, juicy and flavorful – but actually my favorite part of the dish was the arroz mamposteao – really well-flavored rice and beans…. there has to be more because that sounds so plain, but it was great! 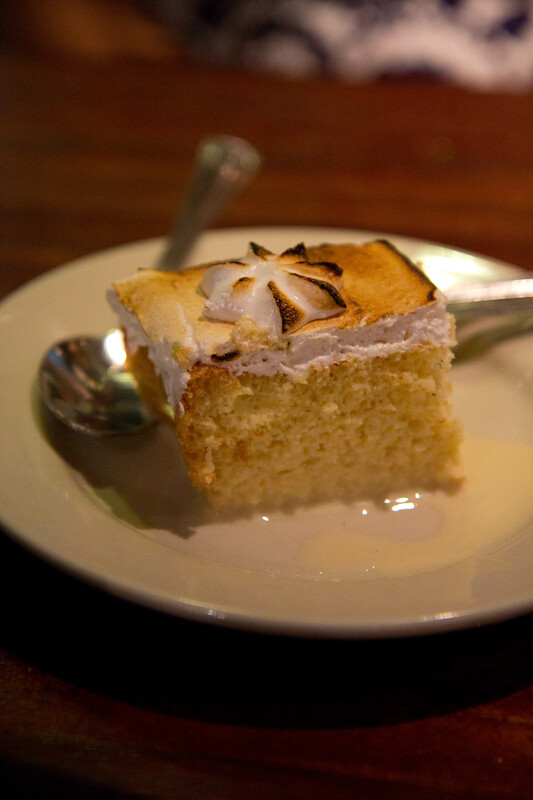 And then for dessert, tres leches cake – “three milks” cake, sponge cake soaked in 3 kinds of milk (evaporated, condensed, whole). A great first dinner in Puerto Rico and left us hungering for more the next day! 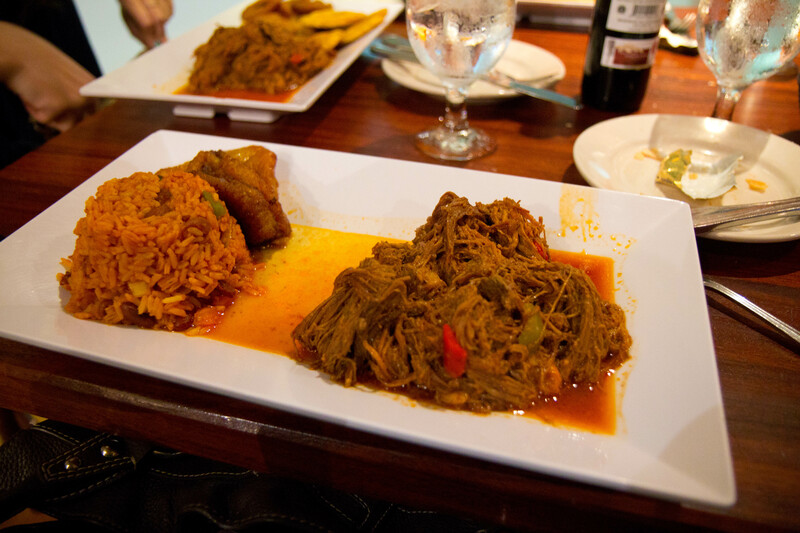 Ropa vieja with delicious mamposteao on the left. Tender tres leches cake. And it’s going to be a busy one… dum dum dum!